Hello all you creative souls!! I am so excited to share my project with you today. 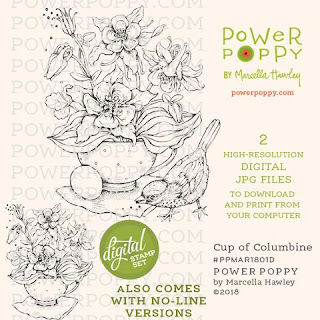 Marcella just released a new Power Poppy digital image yesterday called Cup of Columbine, and it is charming!!! There are a couple of image options, and it comes with no-line versions! I decided to try my hand with the no-line image without the bird and egg. This is only the second time I've ever attempted no-line coloring, so please, don't look too close. I thought it would be fun to add a pattern to the napkin, so I used my Copics to color in a stencil. As I'm looking at it, I'm realizing I should have added some depth and dimension to the pattern itself, but alas, I don't have the time. Something to think about the next time I try my hand at patterns. 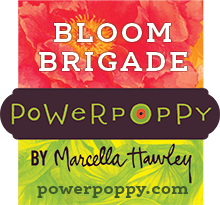 I added a sweet little sentiment from the Power Poppy Poppies set. My Son and Daughter-in-law are going to have their first child this summer, so that means, in my eyes, my DIL is already a mother. So I wanted to make a special first Mother's Day card for her. Hi Tosha! I love how you used the image without the bird because coloring the bird would be intimidating for me. 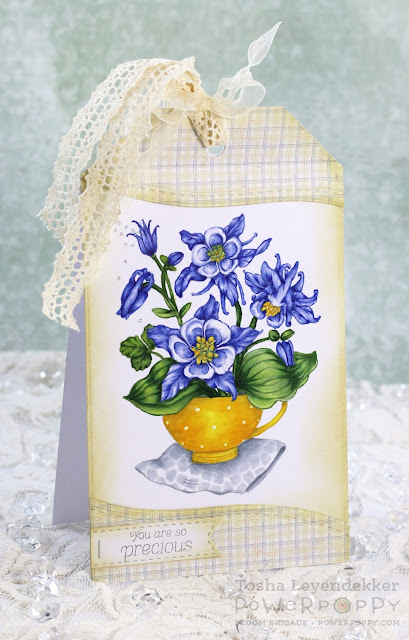 I love the designer paper you used for the card and the fact that you made it into a ‘tag card’ is wonderful. I would have never considered doing that. It turned out beautiful. Thanks for sharing! Beautiful job with the no line coloring, you are a pro already!! Love your tag!! 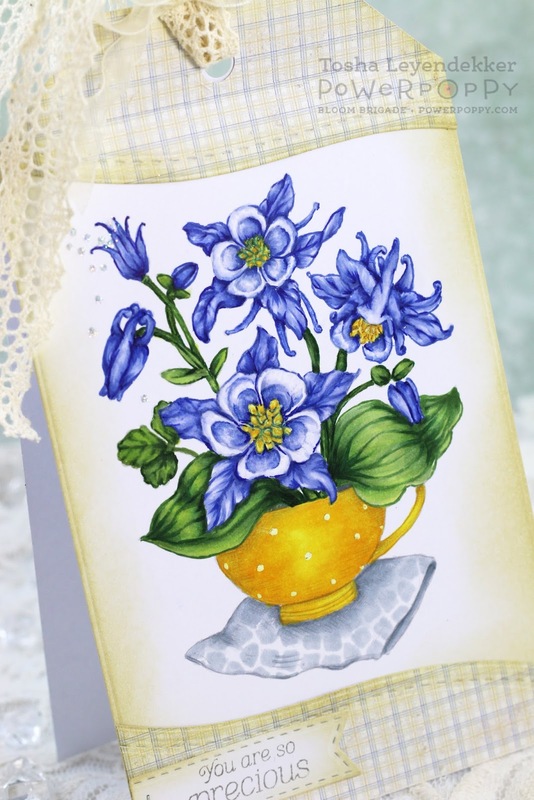 The blues and yellow is so springy and fresh, just beautiful! !